On Tuesday, September 26, a conference on the Libyan crisis was organized at the Latin American House by the Geopolitical Club (GC), the Robert Schuman Institute for Europe (IRSE) and the Institute for Foresight and Security in Europe (IPSE). The conference aims to help better understand the Libyan crisis and reflect upon the means to solve it. Between February 15, 2011 and October 23, 2011, a conflict resulting from a popular protest in a context of social and political demands took place in Libya, from Benghazi to Tripoli. This Libyan revolution should be seen in a larger context of protest by the Arab states. This is the « Arab Spring » that calls for more democracy, wealth distribution and freedom. After 42 years of rule, Muammar Gaddafi will be murdered at Sirte on October 20, 2011. A transitional government will follow. Starting in 2014, a second civil war will oppose three rival governments and jihadist groups. Former rebels of the 2011 civil war will then clash in Benghazi. In such exploded Libya, the African Union aims to bring all its weight to bear to resolve the crisis and not be excluded from the external interventions on that case. The success of such objectives depends on the stability of Tunisia, the Maghreb and the entire Sahelian territory. As a matter of fact, the African Union had asked President Emmanuel Macron, who was concerned about terrorist and migratory risks, not to carry out parallel initiatives in Libya. Indeed, one of the consequences of the Libyan crisis consists in a significant increase in migratory flows, which tend to generate traffic of all kinds and weaken European states in the face of terrorism. In Brazzaville, on September 9, 2017, a meeting was held in the presence of UN Special Envoy Ghassan Salamé and the Libyan Prime Minister Fayez al-Sarraj. In this context, the Geopolitical Club, the IRSE and the IPSE have decided to organize a conference at the house of Latin America to discuss the stakes and the consequences of the Libyan crisis, as well as solutions to its resolution. More than 170 people were present to listen to the lecturers, who were gathered around 2 round tables. The conference opened with a word of welcome and the presentation of the various speakers. 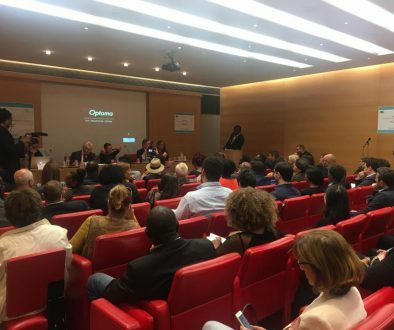 Ibrahime Sorel Keita (president of BDMTV and vice-president of SOS RACISME) and the journalist Elisabeth Tchoungui announced the program: 2 round tables with a speaking time of 10 minutes to intervene before each session of questions / answers. Yamina Benguigui, IRSE President and Former Minister, gave an introductory speech highlighting the major issues of the debate. She was followed by Thierry Paul Valette, President of National Equality and spokesman for the Geopolitical Club, who summarized the situation in Libya in a few key dates. Ghaleb BENCHEIKH, President of the World Conference of Religions for Peace, Journalist and Writer. Michèle André, Senator and former Minister. Yamina BENGUIGUI, President of the IRSE takes the floor to introduce the framework of the debate. The topic is clearly the question and the positioning of Europe with regard to Libya. The African Union defends the integrity of Libya. Could the African Union and the European Union work together? 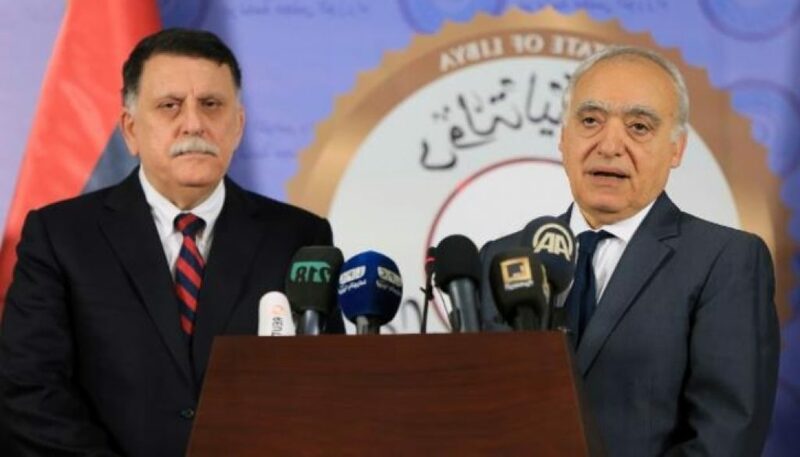 They both position the African Union and the Libyan people as the essential link to exit the crisis, hinting that the European Union would have interests and plans for Libya to serve their interests. Member of Parliament LREM, specialised in international relations and diplomacy, more precisely Middle East and Iran where she lived and worked. She is also a member of the Foreign Affairs Committee of the French National Assembly. She recalls Macron’s address to the UN. She appears as the spokesperson of Emmanuel Macron and specifies the position of the French presidency : it intends to fully play a role of mediation and consultation with the African Union. France will not make any interference that would jeopardize the good resolution of the Libyan crisis. This first round table concerns the urgency of the situation, and the subsequent need for the African Union’s mediation. Having reported the origins and the consequences of the crisis, the four speakers will focus on other aspects of the debate for the second round table. He opens the first round table. According to him, Europe is at the origin of the “destruction of Libya”. His first analyses demonstrate the stakes and responsibilities of this Libyan crisis, which go far beyond certain local tribal inclinations. He challenges French democracy on the ground that NATO, to which France belongs, bombed Libya for nearly 8 months. While he is still waiting for an apology from the French President, he expresses no feelings of grudge or revenge. According to him, the time will come to ensure each and everyone’s accountability in the matter, but for now, the important thing is to focus on the resolution of the crisis: « we want to rebuild the country and the rule of law ». While he is satisfied that the African Union is now in charge of the matter, he still hopes that President E. Macron will be present in December at the national reconciliation meeting scheduled in Addis Ababa. She discusses the setbacks of the UN and appears offensive since she believes that the UN « doesn’t sanction when it is necessary to do so, but it does, when it is not ». She recalls the legislative election that was barely followed by voters with 13% of participation and which ended with the murder of a leading figure of human rights, ie the Libyan lawyer Salwa Bugaighis. She suggests that the High Committee of the African Union reduces its membership, from 9 to 3 members. To the question of whether the African Union is able to resolve the crisis in Libya, her answer is clear : « Yes it can and it must by its constitutive act. It is organized for that. His reflection upon African Union’s mission is very pragmatic. According to him, the African Union can be circumvented if « Africa allows itself to be circumvented », if « Africans assist as foreigners in the settlement of African affairs ». He recalls that the UN repealed the decision not to fly over Libya because the members did not respect the resolution. He recalls all this because he wants to prove that when Africa wants, Africa can. He believes that Africa needs to become aware of its capacities and appropriate them, to become unavoidable. He thus seeks to mobilize the African people. Michèle André introduces her argument with « the camouflage suffered by German Chancellor Angela Merkel following the last elections » where more than a million and a half voters have shunned the democratic parties in favor of the extreme right. It is most notably due to the evolution of migratory flows in Germany. Based on her parliamentary experience, François Mitterrand’s former minister raises the issue of women who, according to her, « must ensure the survival of the family and are victims of the warlike fact ». The path of immigrant women is frightening. They must deal with multiple rapes or submit to prostitution to survive. Clearly, Libya needs everyone for the resolution of the crisis and in particular « at the level of the Sahel band where many traffics sow discord ». For Michèle André, « Niger, Mali, Mauritania and Libya find themselves in the same situation ». He wants to talk about reconciliation, which he has experienced in Algeria. He wants to give the testimony of someone who held important responsibilities during a difficult time. He recalls that an entire Algerian people stood up to say NO to a radical project. For him, the legislative process is only a means to help people in their process of becoming aware. He states that Algeria will be at the heart of his speech, reminding the audience that Algeria’s security does not lie in Algeria, but in Libya, Iraq and Iran. From the dark times of Algeria to national reconciliation, he will recall the adoption in September 2005 of the « national charter of reconciliation ». He will not hesitate to draw parallels with the situation in Libya: « an economy at half-mast, a divided and isolated country ». He also recalls that journalism has paid a heavy price, with over 100 journalists killed, but the press has always been against terrorism, and it should be used as such as a real pillar of resistance. He however points out, that unlike Libya, the Algerian institutions have persisted, and the problem came from inside, whereas in Libya, the problem comes from outside and it is supported by several radical groups. To the question : « must we rethink migratory flows? », he responds that more than 1000 associations are working on the ground to help the migratory populations. He blames the institutions: « it is a real failure of all the institutions ». He denounces the project of wanting to install border zones in the free movement zones. According to him, it is not the poor who migrate, since migrating is highly costly. As a conclusion, he wishes to send a message to the world’s political leaders: « Migration, which represents less than 3% of the planet’s population, is upsetting the established political order ». First, I would like to thank the Robert Schuman Institute for Europe for its invitation. I would like to make a brief presentation of Libya because I think that the French people is very familiar with Libya and in particular former French President Nicolas Sarkozy, who is behind the destruction of Libya, because as you know Libya was destroyed by NATO, led by France, Britain, Italy, Qatar and Turkey. Libya has been completely destroyed in all its strata. As far as we are concerned, we can say that we represent Libyan civil society, that is to say that we (the High Council of Tribes and Cities of Libya) are made up of 80% of civil society and former dignitaries of the Regime. NATO bombed Libya for 8 months, 8 months during which the country was destroyed and Libyans were destroyed. But we are still puzzled since then, we are very surprised because Libya had excellent relations with the European Union. I can assure you that as representatives of civil society and the High Council of Tribes and Cities, we have no animosity towards France and the French people. The former UN Under-Secretary-General and former Prime Minister of Guinea Lansana Kouyate will insist on the leading role of the African Union in resolving the crisis. Member States will still have to deal with the personal interests of each of everyone. As a conclusion, Yamina Benguigui will thank the speakers and the many guests of this conference. Symposium in the Senate: Persian Gulf crisis. 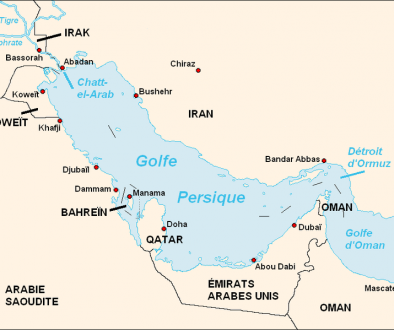 The Gulf: what commitment from France, what role for Europe in the crisis’ exit ?